For a minimum-wage employee in Seattle, buying a monthly $100 transit pass with pretax wages means saving $236 per year, according to the City Council. Seattle will require many businesses to offer workers the opportunity to pay for their transit commutes with pretax wages. Voting unanimously, the City Council approved legislation Monday to impose the mandate on companies with at least 20 employees. 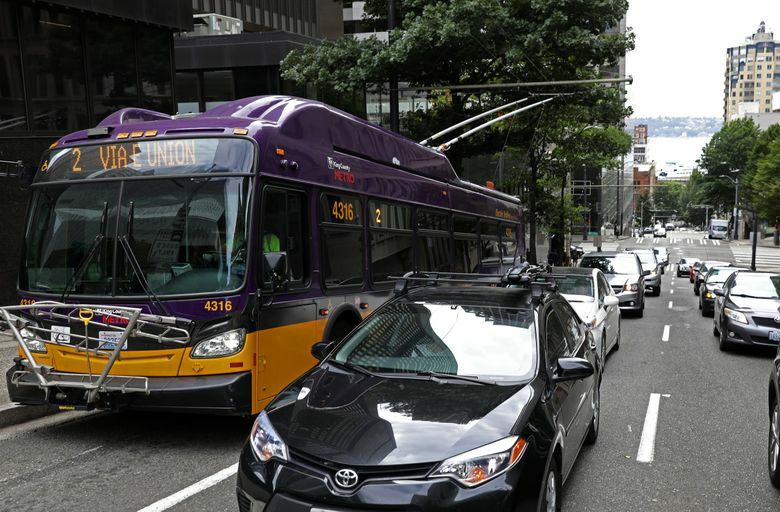 Councilmember Mike O’Brien, who championed the legislation, said it will save money for workers and businesses while reducing congestion and pollution by promoting transit use. “I believe we have a win-win-win,” O’Brien said. Under the federal tax code, businesses are allowed to have workers allocate up to $260 per month from their paychecks to pay for commutes via transit, including bus, light rail, ferry, water taxi and van pool. The Seattle legislation will require the covered companies to make that option available to their employees by 2020. Employers can use a King County Metro program to provide their workers with ORCA transit passes while using the pretax wages. In most cases, a worker either allocates $100 per month and is provided with a monthly ORCA pass or allocates less than $100 per month and is provided with an electronic-purse ORCA pass. The businesses also will be able to satisfy the city’s mandate by giving subsidized passes to their employees. For a minimum-wage employee in Seattle, buying a monthly $100 transit pass with pretax wages means saving $236 per year, according to the council. That’s significant in a city where transportation is the No. 2 cost for the average family, after housing, O’Brien’s legislation says. Employers will need to adjust their payroll systems but will save on payroll taxes, the legislation says. Nonprofit and government employers will be exempt from Seattle’s mandate. The Seattle Office of Labor Standards will enforce the legislation. San Francisco, New York City and Washington, D.C., already have similar requirements. Jonathan Hopkins, executive director of Commute Seattle, praised O’Brien’s legislation. “This law is about providing employees access to a federal tax benefit so they can save money and commute smarter,” Hopkins said in a statement. Eugene Wasserman, president of the North Seattle Industrial Association, expressed anger at O’Brien for not consulting his organization. O’Brien apologized at the council’s meeting Monday, saying the council had paid Commute Seattle to connect with businesses.